A shortlsted project for IDEA 2014 in the Hospitality Category. 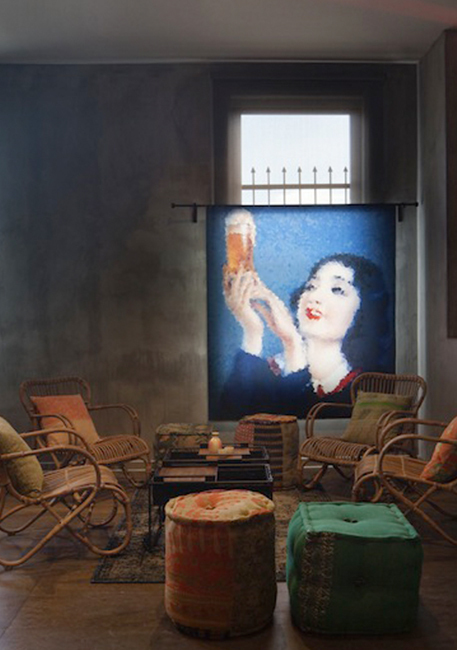 Evoking an Old Shanghai sensibility the palette is grounded by dark rustic timbers and concrete flooring (Concreate) overlaid with a bold colour palette drawn from vintage Chinese beer posters pixelated to become a vibrant window treatment. Whimsy is plentiful with additions including the miniature Chairman Mao figurines paying homage to the ‘People’s Republic of… Beer’.